Home Norway Culture Påskekrim: Why Crime Stories at Easter Are Popular in Norway? 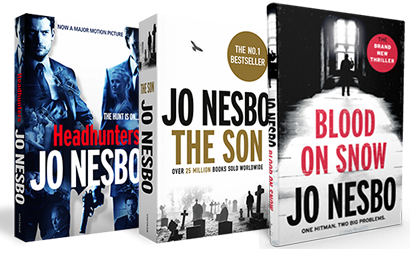 Famous Norwegian author Jo Nesbø and his thrillers are among the most popular Easter favorites. Each year, nearly every TV and radio channel produce a crime series for Easter. The milk company prints crime stories on their cartons. In order to cash in on this national pastime, publishers churn out series of books known as “Easter-Thrillers” or Påskekrim. Nobody quite knows why, but for some reason, Easter is a high time for reading crime stories and detective novels in Norway, where many say that Easter and the crime genre simply work well together. It is believed that the tradition of påskekrim began with an ad of Gyldendal’s publisher Harald Grieg during the Easter of 1923. The ad, like a regular news article, appeared on the front page of Norwegian daily, Aftenposten, entitled “Bergen train looted in the night”. The text was advertising the new crime book of Nordahl Grieg and Nils Lie. The book was a success and it was clear that people liked the idea of påskekrim. In the following year, the publishing house Aschehoug began to focus on crime during Easter time. Since then, Easter has been incorporated as the peak season for the crime genre.